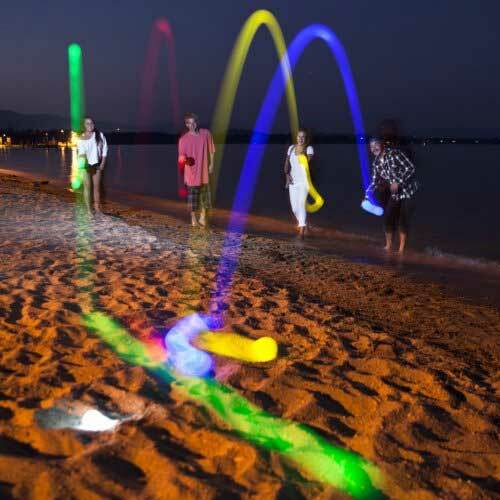 A light up bocce ball set is a fun gift for adults or kids. The bocce balls in this set have LED lights that brightly show team colors. While some people refer to this as a glow in dark version, it is really LED lights that make balls brightly illuminate. 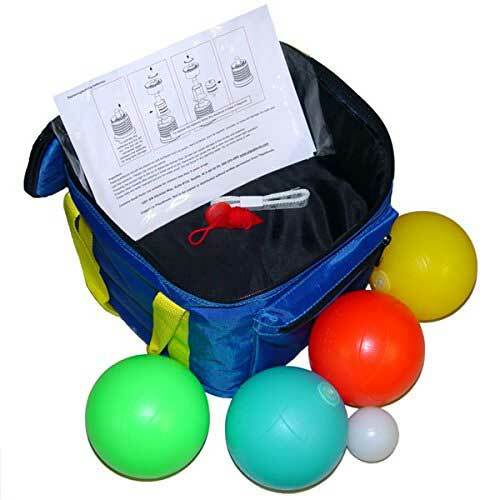 The bocce balls in this set have LED lights that brightly show team colors. Most people have heard of bocce ball. For those that haven’t, the rules are simple. Basically, players take turns trying to roll or throw their bocce ball closest to a preset point, called the pallina. Players can knock other players balls farther away from the pallina, or try to hit one of theirs closer. It’s a game that can really be played anywhere. It’s a perfect game for family get togethers, parties, camping, the beach, or other special events. The game itself is simple. Each team has 4 bocce balls. First, one player tosses the pallina, ideally about 30 feet from where the players are standing. That same player then throws their bocce ball as close to the pallina as possible. The next player then tries to throw their bocce ball as closer to the pallina, and/or they try to knock the opposing players ball farther away from the pallina. Teams then take turns throwing the remaining balls. While throwing they are either trying to get their ball closest the pallina, move one of their pallina closer, or move an opponent’s ball farther away. As far as scoring goes, during each round only one team can score. One point is awarded to each ball a team has closer to the pallina than the opposing teams closest ball. The game goes until one team scores 12 points or a different predetermined score. For the full list of official rules, just do a google search and I’m sure they will pop up. Bocce is a very popular game worldwide. The game very popular in Italy, where it is sometimes called Italian lawn bowling. One reason it is so popular because it playable by ages. Another good thing is you no special court is required, as it can be played just about anywhere. To buy or get more information on this game set, just hit the check it out button at the top of the page. If you have questions, feel free to leave them below.